A Serra Mesa woman accused of killing her 79-year-old mother and ditching her body on the Barona Indian Reservation near Ramona was scheduled to be at the downtown courthouse Monday for a preliminary hearing. Ghazal Mansury, 42, is charged with first-degree murder in the death last September of Mehria Mansury, who shared her Amulet Street home with the defendant. If convicted, the defendant faces 25 years to life in prison. A judge will decide at the end of the preliminary hearing whether enough evidence exists to order the defendant to stand trial. 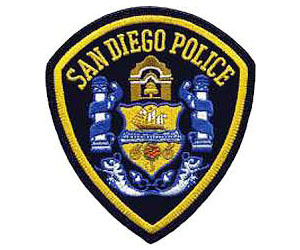 When the victim went missing Sept. 23, relatives immediately asked detectives to look into the possible involvement of her daughter, who has a criminal history related to thefts, said San Diego police Lt. Jorge Duran. A sheriff’s search-and-rescue team found the victim’s body the afternoon of Oct. 2 lying face down under a tree in an open area on the grounds of the Barona Indian Reservation, according to Duran. Hours later, police took the defendant into custody for questioning. After her arrest, the defendant was ordered held on $2 million bail. Authorities argued that she was a flight risk because she was born in Jordan and moved to Afghanistan with her family before coming to the United States when she was very young. Authorities have not disclosed a suspected motive in the case or the cause of death.